What would you do if a natural disaster were going to strike your hometown in a few days? Maybe you would gather your friends and family and find shelter. When a disaster occurs, it often happens very quickly and people are not able to reach their friends and family particularly low-income families lacking resources. They might not be able to rely on family or friends to help in these stressful circumstances. And once they found shelter, how does the process disaster recovery and relocation affect individuals suffering from social anxiety? Displaced and relocated disaster victims face unique challenges including health care disruption, social network changes, living condition changes and psychological stressors along with other trauma-related disaster-experience. Moreover, those suffering from social anxiety disorder are at a heightened risk for developing Posttraumatic Stress Disorder (PTSD) from exposure to an extreme environmental stressor, such as a natural disaster. The Diagnostic and Statistical Manual of Mental Disorders (2013), reports that 80% of individual with PTSD are more likely to have symptoms that match the criteria for other disorders such as, anxiety. 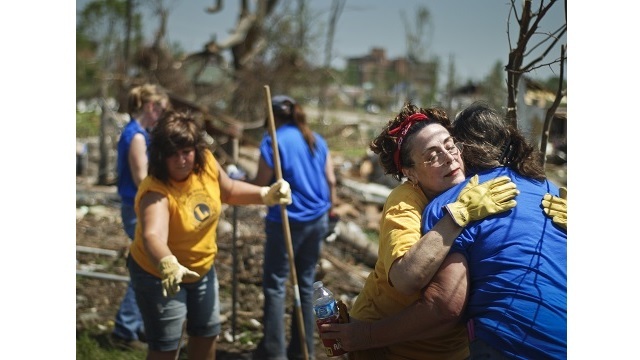 Individuals with social anxiety are at a disadvantage when encountering a natural disaster. The DSM-5 reports that negative alterations in cognitions and mood associated with a traumatic event can make individuals with social anxiety vulnerable for developing stressor-related disorders. In order to fully understand the impact natural disasters have on individuals with social anxiety, let’s take a look into what encompasses social anxiety. The DSM-5 reports that 7% of the United States general population suffers from social anxiety. Typically, a person suffering from social anxiety develops a persistent fear of one or more social situations. They can experience an intense fear of being humiliated or embarrassed when they encounter unfamiliar situations involving strangers. This intense fear may be amplified during natural disasters. Not only can they be experience intense fear from the environmental stressor, but they will be coping with the additional fear of having increased interactions with strangers and places that are completely unfamiliar. These debilitating fears can make it difficult for someone to advocate for their needs. People should be aware that it is a natural response to feel scared and anxious when anticipating the arrival of a hurricane, tornado, blizzard, wild fires, or any severe storm. Anxiety and Depression Association of America (ADAA) provides a list of steps to assist an individual in preparing for natural disasters. Many emotional and physical reactions will appear after the storm passes. A person might experience common symptoms such as insomnia, nausea and/or headaches. 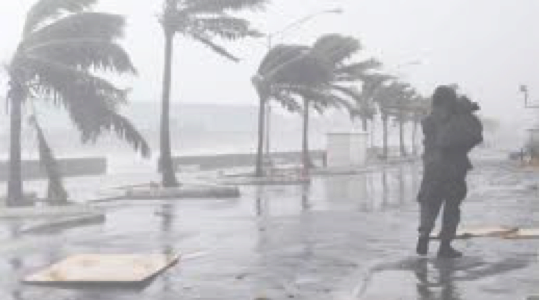 The stress of being relocated during a storm may can intensify emotional response due to such a major life disruption. A helpful tip to follow your usual daily routine as much as possible. Spending time with trusted loved ones will help with the overwhelming feelings of anxiety. Surrounding oneself with loved ones can help an individual cope with flashbacks and/or nightmares from the disaster. Local doctors and/or spiritual advisors can be important resources for individuals suffering from social anxiety. Meeting with other survivors may help with reducing loneliness which in turn may facilitate an acceptance towards a natural disaster too difficult to follow. Support groups can help individuals feel validated by talking with others who have been exposed to the same or similar trauma. On a national level, The Federal Emergency Management Agency (FEMA) offers resources and programs for the National Disaster Recovery Framework. Resources provided by FEMA can be found at, www.DisasterAssistance.gov, or call 800-621-3362 for further assistance. The American Red Cross is another important resource for providing disaster mental health responders to natural disasters. These responders provide psychological first aid and can help link distress individuals to local services. This entry was posted in Anxiety, Blog, Cognitive Behavior Therapy, Social Anxiety and tagged anxiety, CBT, cognitive therapy, cognitive-behavioral therapy, social anxiety, social anxiety counseling, social anxiety pittsburgh. Bookmark the permalink.